The Festival Programs are designed for larger groups whose events are entirely outdoors. 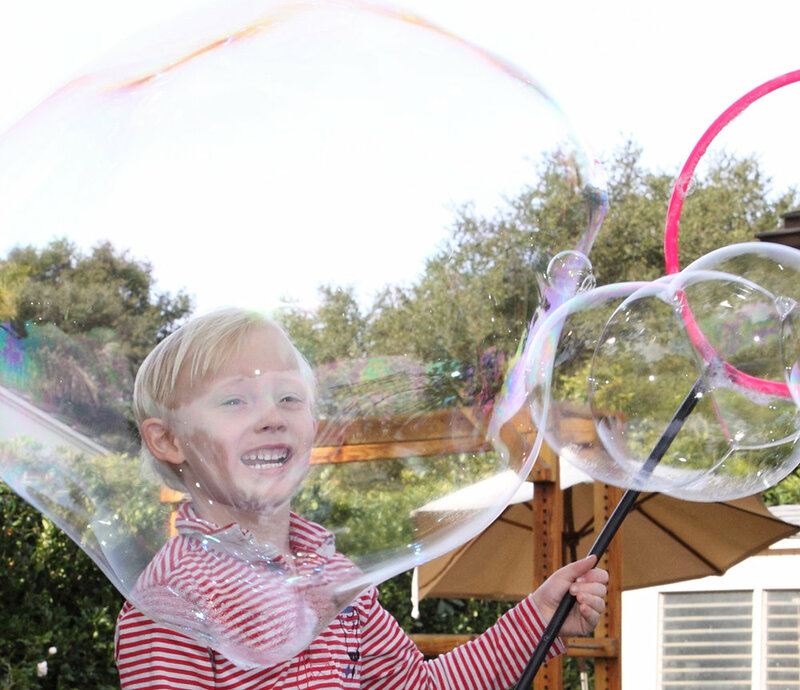 As in the Party Playtime, our Bubblologists will facilitate the “hands-on” bubble making experience for your guests. The Festival Programs are designed for larger groups whose events are entirely outdoors. 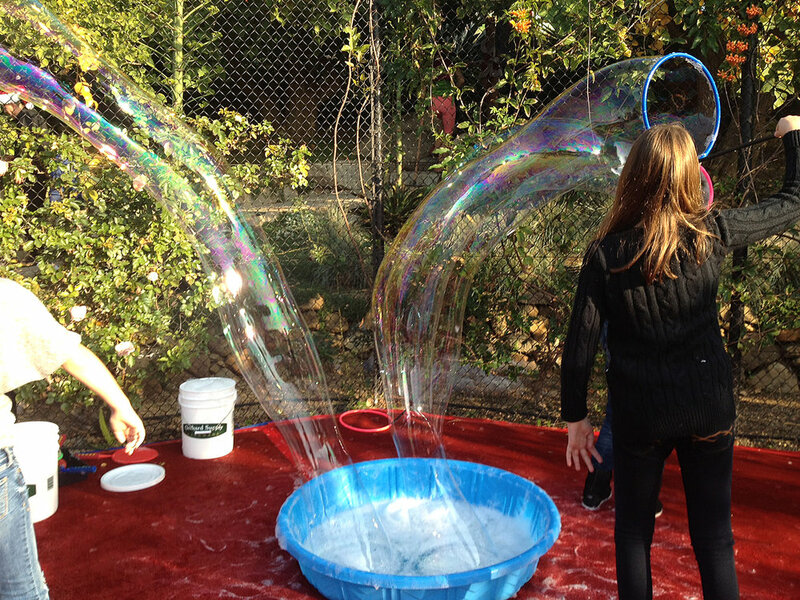 As in the Party Playtime, our Bubblologists will facilitate the “hands-on” bubble making experience for your guests. 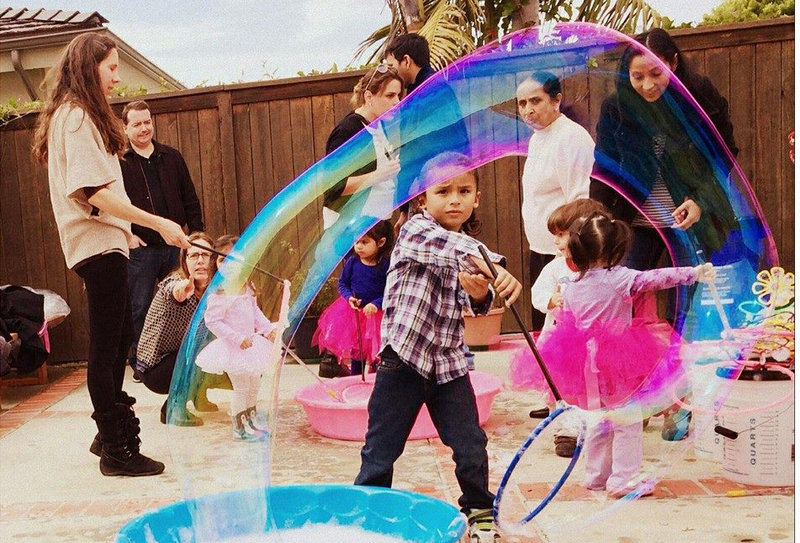 Four “kiddy” pools are set up in an area that is about 20 ft by 20 ft and filled with bubble solution. 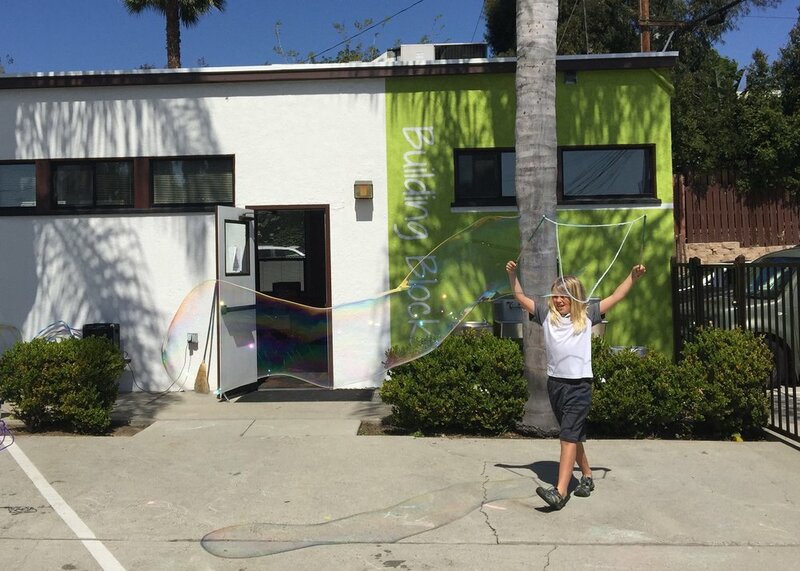 We provide the latest in bubble making apparatus for as many as 40 persons at a time to make their own bubbles. 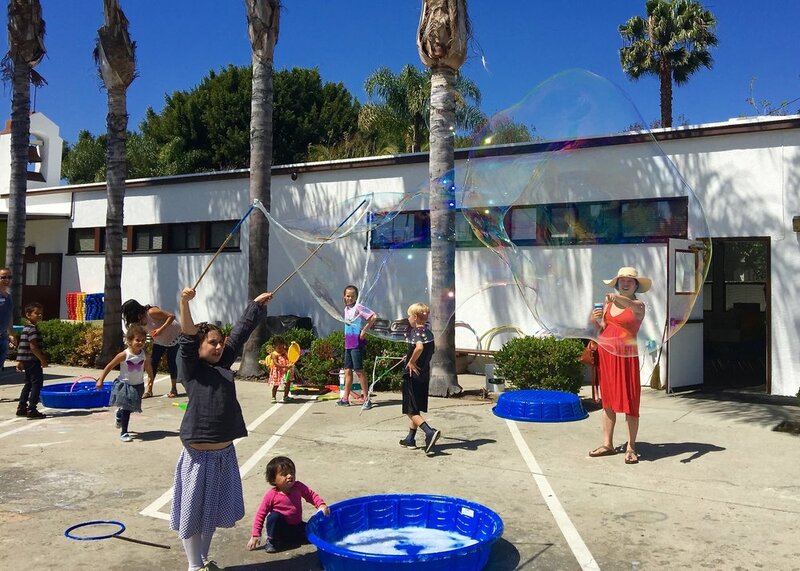 These include bubble wands that look like flowers, butterflies, dinosaurs, dolphins and more, bubbles hoops that make giant bubbles, and bubble racquets and baskets that let bunches of bubbles swirl and fly around. 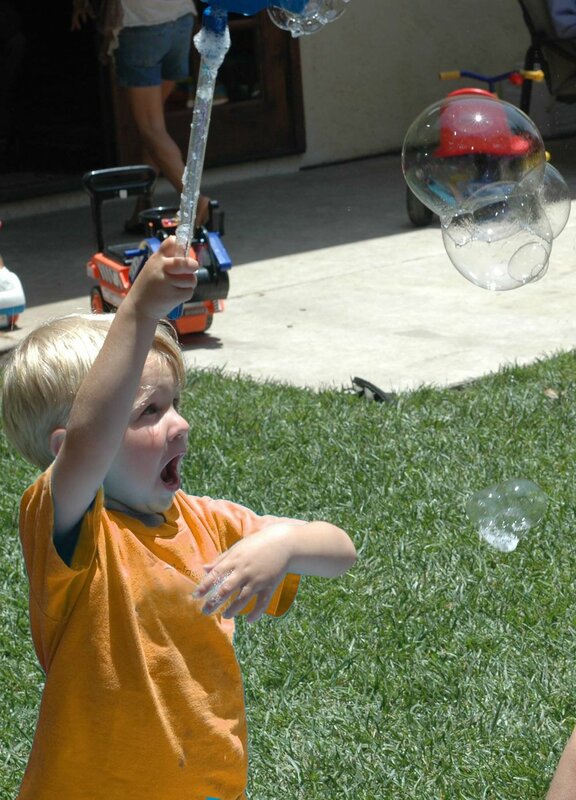 The Bubblologist remains on hand to assist the children. They also keep the equipment picked up as needed for safety.